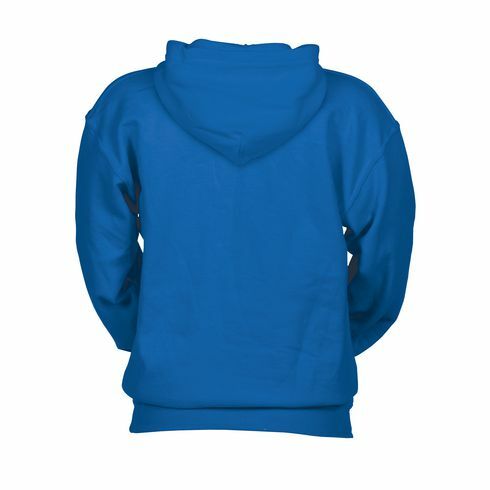 Children's hooded zipped sweater from the brand Gildan ~ 50% cotton/50% polyester pre-shrunk anti-pilling fleece on the inside (270 g/m²) ~ zip ~ hood with drawstring ~ pockets ~ double stitched seams. Available children's sizes: S (116/128), M (140/152), L (164) en XL (176). Available in a men's model (Item 7015) and child's model. These hooded zip sweaters can be ordered in any combination.